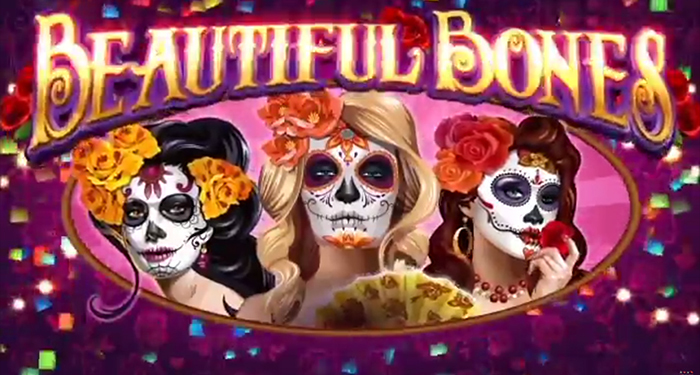 Beautiful Bones is a fascinating new pokies game from Microgaming which celebrates the Day of the Dead (Día de los Muertos) in Mexico. The game has 243 ways to win on each spin with two exciting bonuses and can bet played minimum 50c bet. The graphics in this slot are excellent and the game plays very well on mobile phone as well as desktop computer. Try the free pokies demo version of the game, no real money required to have a spin! ‘Wild Spin Again‘ is a special feature of the game that provides a re-spin when 3 of a kind wins are turned into a held wild on the centre reel. This creates a good opportunity for some decent wins. The sugar scatter day of the dead skulls are very important to collect during game play. Unlike most Bitcoin pokies you need 3 scatters at a time to trigger the free spins. This game is different in that the scatters are accumulated and when you collect a certain amount free spins are awarded. The free spins range from 3x up to 5x multiplier depending on the amount of scatters collected. On the left hand side of the pokies reels you will see a tally of collected scatter symbols. For example 10 skull scatters collected will award 10 free spins along with 3x multiplier. Fifteen free spins with 20 sugar skulls with a 4x multiplier and finally 30 sugar skulls wins 18 free spins with a massive 5x multiplier. The biggest cash prize that can be won on a single free spin is 1,000x your stake in base game and 5,000x in free spins . 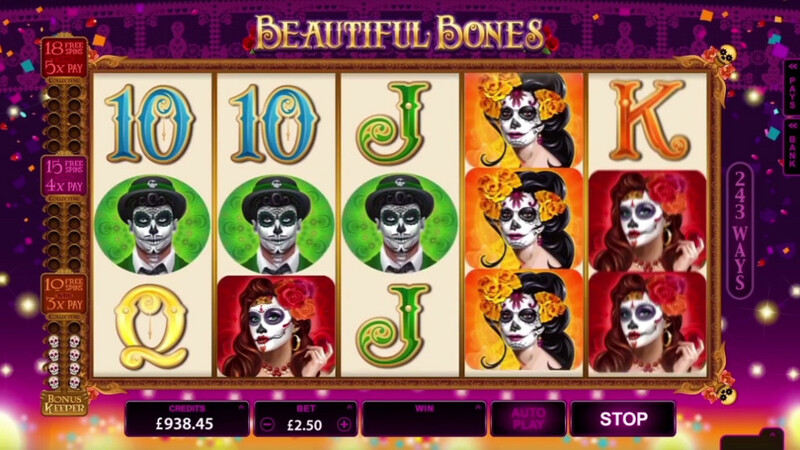 Beautiful Bones provides plenty of winning opportunities and a fantastic way to win the free spins which can usually be frustrating on other games to hit. Just like many of the popular Bitcoin pokies found at casinos this game can be pays left to right.